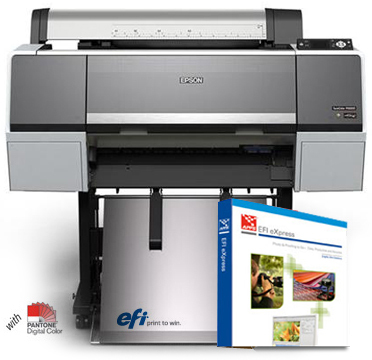 Our Epson photo printers come in large wide-format Inkjet and DryLab models. We offer a wide variety of popular Epson SureColor P-Series printers and SureLab D-Series designer editions and more, with great upgrade options for discontinued editions like Epson Stylus Pro series printers. These Epson printers are a photographer and graphics artist's dream. We can't forget to mention the possibilities for event photography printing and business presentations. 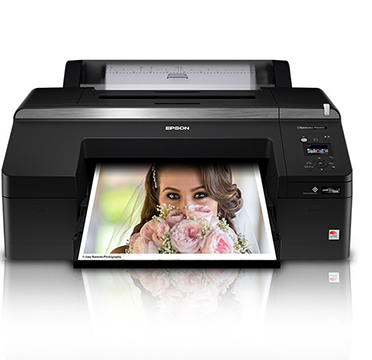 Our Epson photo printers offer professional lab quality photo printing at an affordable price. Call us for more information or help with your purchase! Can't find what your looking for or not sure what you need? Call us! Our sales and service representatives are here to help you find the best printer for you at the best price. Don't forget to get your supply of genuine Epson Ink Cartridges and Epson Printer Paper to go with your Epson brand printer. NEW! The fast, compact minilab printer for demanding photo production. - Prints 4x6", 5x5", 5x7", 6x6", 6x20", 8x8", 8x10" & 8x20"
FEATURED EPSON PRINTER: $400 Instant Rebate - In Stock! - Now Shipping! 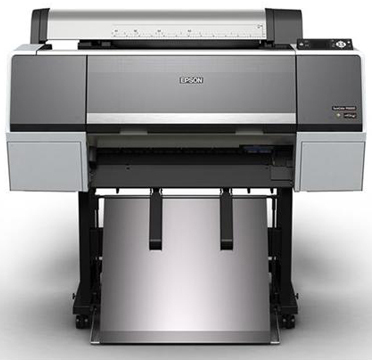 The 24-inch Epson SureColor® P6000 printer is the worthy successor to the class-leading Epson Stylus Pro 7890 Printer. 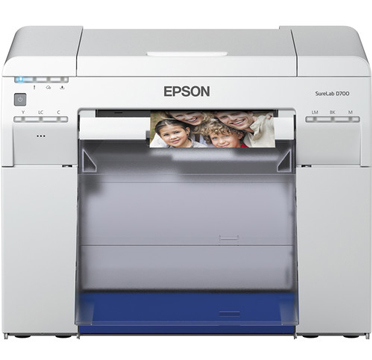 FEATURED EPSON PRINTER: $1,000 Instant Rebate - In Stock! - Now Shipping! 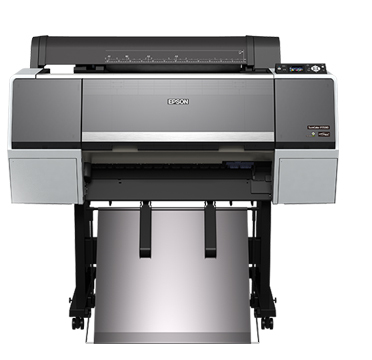 This 44" inch Epson SureColor® P8000 printer is the improved and worthy successor to the class-leading Epson Stylus Pro 9890 Printer. 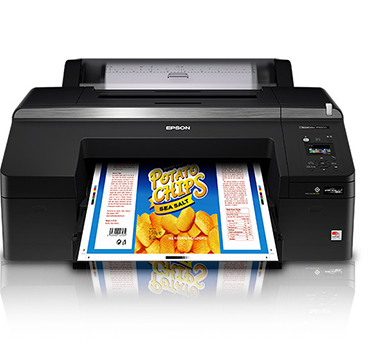 This Printer is only $1,395 after the $400 Mail In rebate! Designed for professional printing, the 17" SureColor P5000 Series offers enhanced reliability, exceptional color gamut and print permanence on roll and sheet-­fed media with UltraChrome HDX pigment inks. 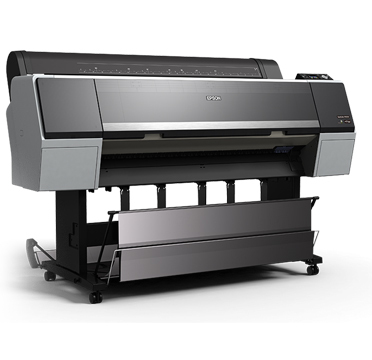 The Epson Commercial Edition printer includes an all-new Violet ink (in place of Light Light Black) to deliver an industry-best 99 percent PANTONE® PLUS FORMULA GUIDE solid-coated color matching2, ideal for commercial and flexographic proofing applications. This Printer is only $1,845 after the $450 Mail In rebate! $500 Instant Rebate - In Stock! - Now Shipping! This 24" inch Epson SureColor® P6000 printer is the improved and worthy successor to the class-leading Epson Stylus Pro 7890 Printer. $1,000 Instant Rebate In Stock! - Now Shipping! This 24" inch professional Epson SureColor® P7000 printer is the improved and worthy successor to the class-leading Epson Stylus Pro 7900 Printer. $1000 Instant Rebate - Now Shipping! 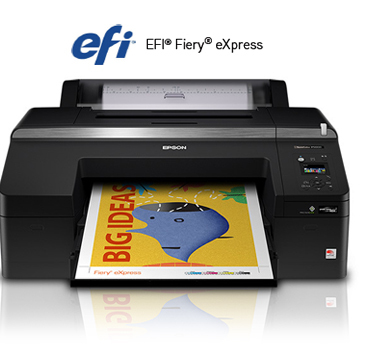 This Epson 7000 Commercial Edition printer is Designed for professional proofing and photographic applications, they incorporate our latest imaging technologies – including an exotic Epson PrecisionCore® TFP® print head, along with our unique Epson UltraChrome® HDX ten-color pigmented ink set – which now includes an all-new optional Violet color. $1,000 Instant Rebate - In Stock! - Now Shipping! 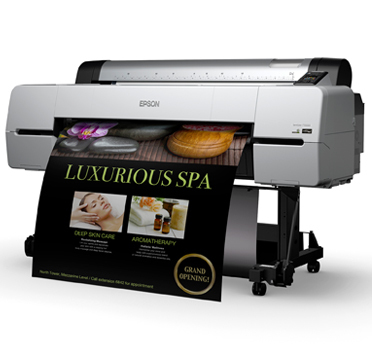 This 44" inch Epson SureColor® P8000 Designer Edition printer is the improved and worthy successor to the class-leading Epson Stylus Pro 9890DE Printer. - In Stock! - Now Shipping! 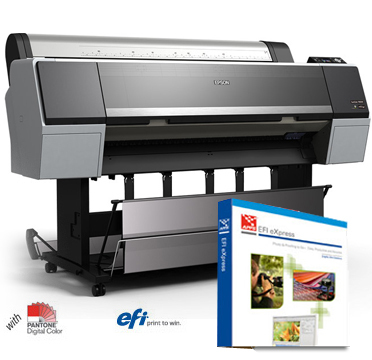 This 44" inch professional Epson SureColor® P9000 printer is the improved and worthy successor to the class-leading Epson Stylus Pro 9900 Printer. Get a $1,250 total Instant Rebate applied to final price! 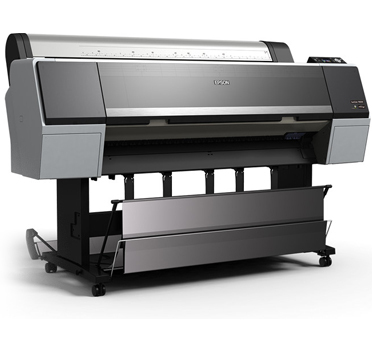 Large-Format Inkjet Printer Epson SureColor® P10000 44". Successor to the Epson Stylus Pro 9900 Printer.